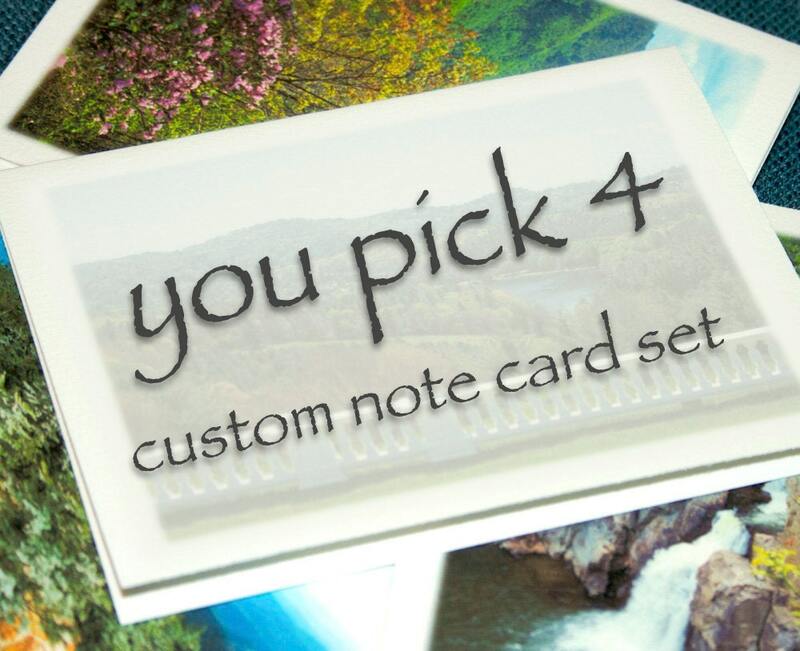 Just include your choices in the 'Notes to Seller" when you check out, or send us a message. Photos are printed on lightly textured watercolor paper, and hand-folded and cut. Set include natural white envelopes. Cards measure 5.5 x 4" (A2 stationery size).